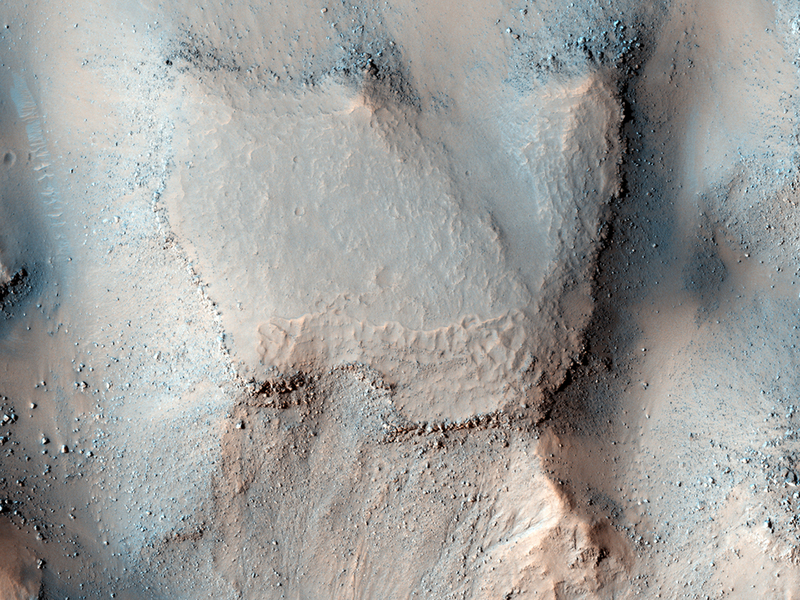 This observation shows mesas that are part of Gorgonum Chaos, a region of chaotic terrain, which is a jumble of mounds and mesas grouped together. 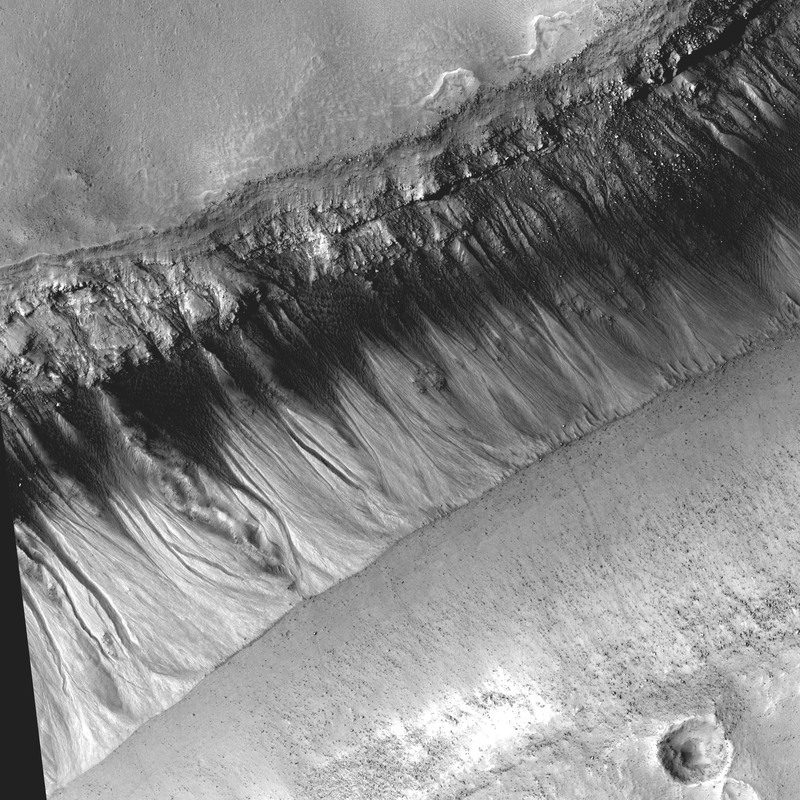 Chaotic terrain is most commonly found in Mars near the sources of the gigantic outflow channels. Gorgonum Chaos is one of the few exceptions. Some of the troughs between the mesas appear to have V-shaped bottoms; there is no obvious flat floor in between. Others have dunes running down their centers probably indicating flat floors. It is possible that the mesas were once connected and that something caused fractures in the original mesa's surface that were then preferentially eroded. The subimage is of the far left side of the second trough from the bottom. The top left and bottom right are bordering mesa tops. Prominently displayed on the south (bottom) facing trough wall is a group of gullies that have a set of dark materials running across them. The materials are probably dunes, and they are on top of the gully channels indicating that they formed more recently. This is a stereo pair with ESP_012246_1425.